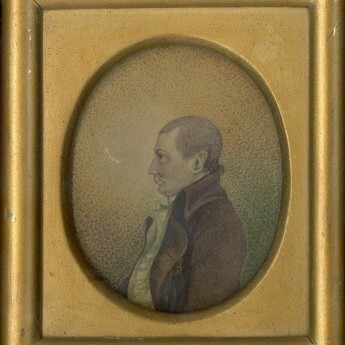 This pair of small late eighteenth century American profiles come from my own collection having been purchased more than a decade ago. 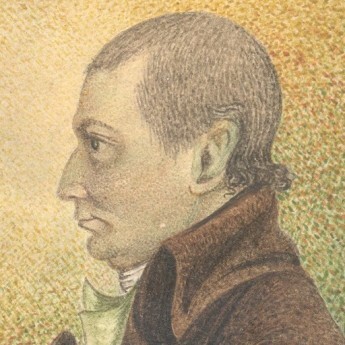 They depict a grey-haired gentleman with a characterful face named Mr Harrison and his wife. 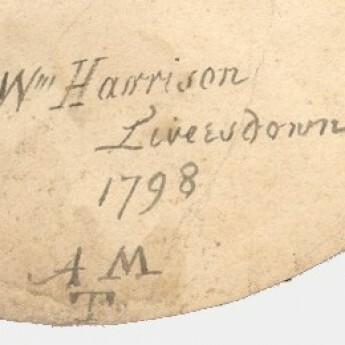 Mr Harrison is wearing a brown frock-coat with large lapels and buttons over a greenish-grey waistcoat and white stock. 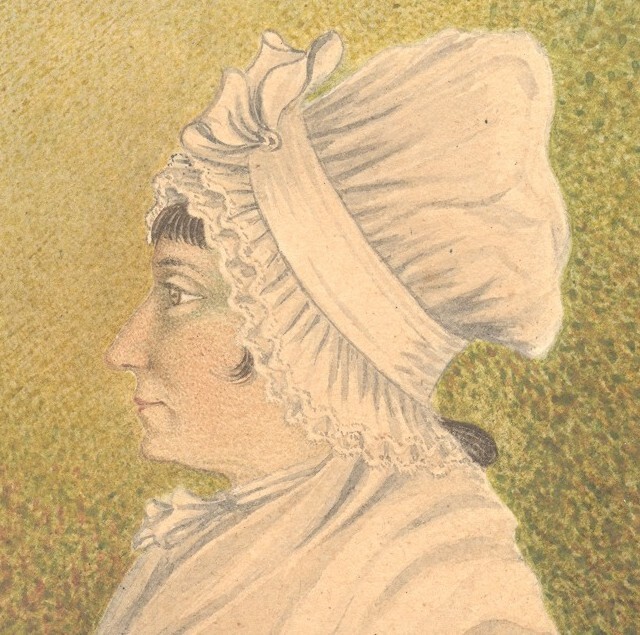 His wife is wearing a blue dress with a plain white handkerchief covering her décolletage, her dark hair just visible under her mob-cap that is edged with a double frill and trimmed with ribbon. 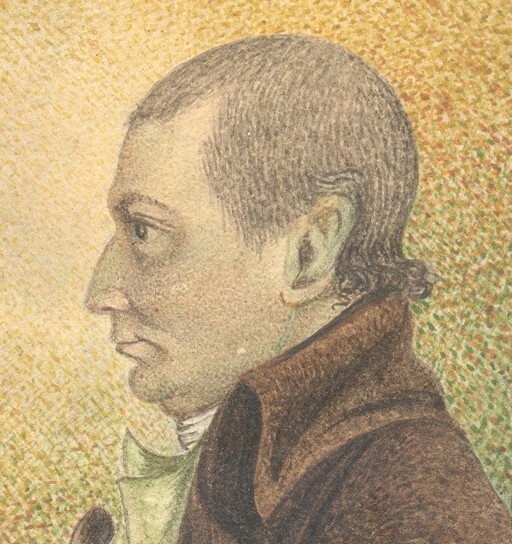 Both profiles are set against a greenish-brown stippled background. Watercolour on paper. 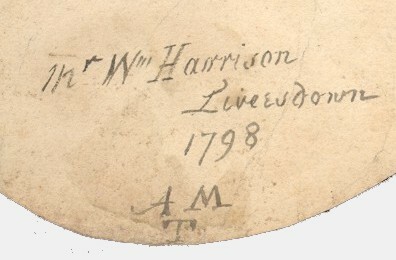 The gentleman is inscribed on the reverse − ‘Mr Wm Harrison / Live?sdown / 1798’ and is signed with the initials AMT. 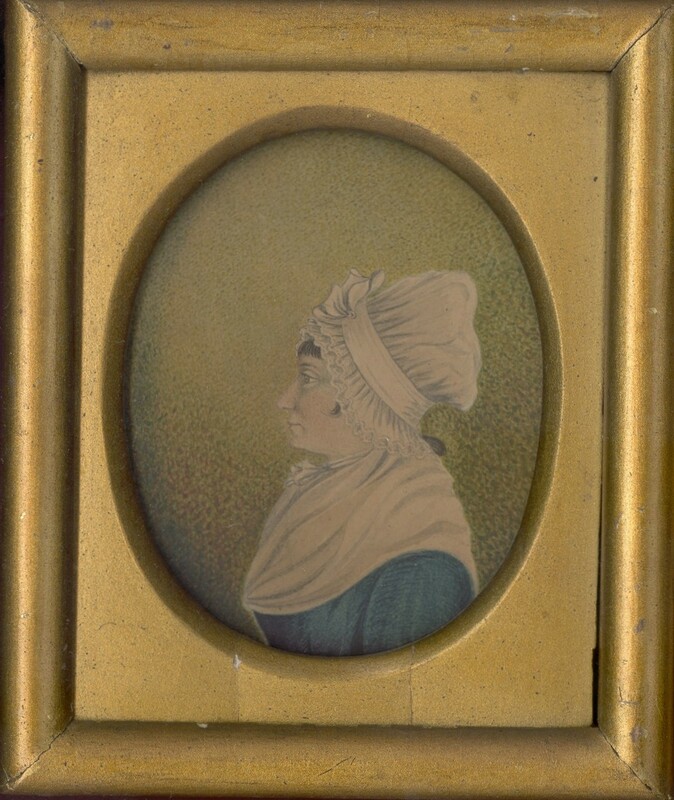 So far neither the place-name nor the artist have been identified. 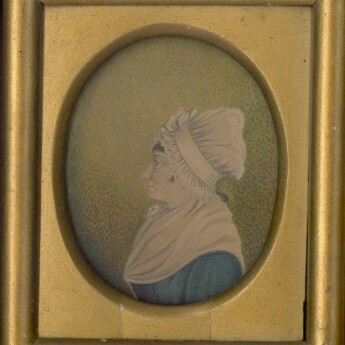 The portraits are housed in giltwood frames with giltwood mounts and old glass. 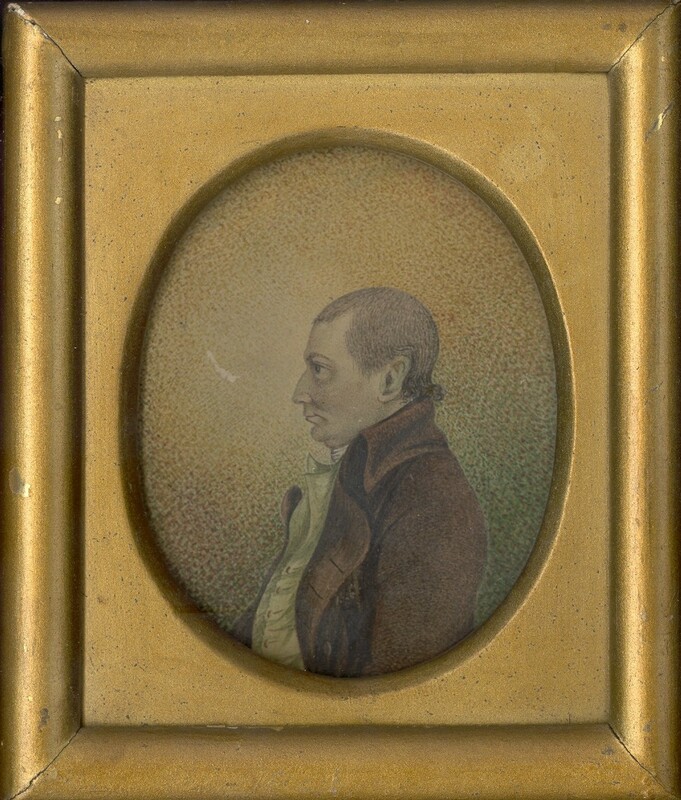 They are in very good condition with just a small surface scratch to the background on the gentleman and minor hairline cracking to the giltwood mount on the lady.